What's Independent about an Independent Medical Exam? 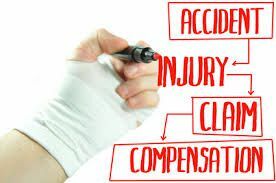 Sooner or later, someone hurt at work with a workers compensation claim will get a letter from the adjuster or nurse case manager sending them to an "Independent" Medical Exam. I call these "insurance medical exams" or litigation exams. There's nothing independent about them. Insurance companies hire doctors to conduct these "independent" exams. Many times these doctors charge $800 - or more - per exam, as opposed to the $85 they charge for an exam of a patient they are treating. Many times, the whole exam lasts only 5 minutes or less (I've had clients time it) and the doctor then writes a 3 or 4 page report to the insurance company or its attorney. Sometimes the reports on different injured workers are virtually identical - only the names have changed. And in my experience, the more desperate the carrier, they more notorious the litigation or insurance doctor they will turn to for the exam. As with anything in life, there are exceptions to the rule. Occasionally an insurance company will hire a competent, neutral physician to evaluate an injured worker, and that physician will take the time to thoroughly evaluate the injured worker and make recommendations that are helpful to his treatment and rehabilitation. But most of the time, workers compensation insurance companies are more interested in limiting or denying benefits and reducing the amount they have to pay to workers hurt on the job. Have you been scheduled for an "independent" medical exam in DC, Maryland, or Virginia and you're not sure what to expect or what to do? Download our free report TODAY and read it before you take another step. And then call us at 202-393-3320 if you have further questions - we have people standing by just to answer your questions!